In one of his videos, Dr. John McDougall, talks about the different types of soy – those that are good for you and those you must away from. In this article, Betsy Thurston (RD) explains why there are several controversies related to the health benefits of soy. Soy is very popular with people following vegan or vegetarian diets. Soy is a complete protein that has a low glycemic index and has low saturated fat content as compared to animal sources of protein. Soybean is a species of legumes and has been consumed for years in several Asian cultures. The protein content of the natural Soya chunks is very high. It has about 52 percent of protein and only 1.5 percent of fat. This combination makes it a good choice for fat loss. Consuming protein can help you feel full faster and stay sated longer. The proteins from animal sources may introduce saturated fat in your diet that can increase the risk of heart diseases. The lean protein in the soy products can help you build muscle mass that will increase your metabolism, which in turn causes weight loss. Can soy based products help reduce weight? The National Center for Biotechnology Information carried out a study in 2003 involving 100 obese adults. The study group was given a soy based diet for 12 weeks and the control group continued to have a regular diet. At the end of 12 weeks, the research showed that the participants of the study group lost almost double the amount of weight when compared to the control group. The study group also lowered their cholesterol levels significantly. This study did not find any side effects related to consuming soy products. 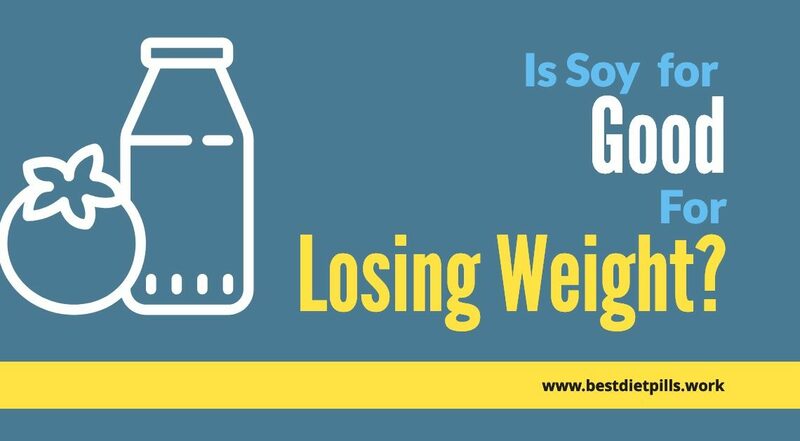 The study concluded replacing regular foods with soy based products can help reduce weight. FDA has approved soy products as a cholesterol lowering food. Fermented soy or tempeh has been proven to reduce the LDL cholesterol. The American Heart Association does not however, recommend taking isolflavone supplement. (Isoflavones are chemical compounds found in plants of the bean family) Isoflavones are the soy phytoestrogens. Using soy products along with other heart healthy products and exercise can lower your cholesterol levels. Are genetically modified soy beans harmful? Genetically modified soy beans use fewer amounts of pesticides when compared to the regular crop. The herbicides used for genetically modified soy is not harmful to humans. The genetically engineered soy is easier to cultivate and it preserves the soil content. There have been some reports of developing food allergies by consuming genetically engineered soy products. Several allergists recommend avoiding genetically engineered food including soy. Is Soy a cause for thyroid enlargement? Soy is considered a goitrogen which promotes the formation of goiter (enlarged thyroid). Several grains, vegetables and plant food fall into this category. Several factors affect the formation of goiter, such as iodine deficiency, presence of other goitrogens in diet and defects of hormone production. Soy alone is not a cause for thyroid enlargement. In the event that a person does have hypothyroidism, they may have some difficulty with weight loss. Thus soy protein is a complete protein that can be successfully incorporated into your diet. It has more health benefits rather than harmful factors. Some studies have linked soy beans to cancer in rats, but the results are not conclusive. Over cooked soy transforms to textured vegetable protein or TVP. This product is carcinogenic and should be avoided. Roasted soy nuts should also be avoided as it can become rancid and carcinogenic the longer it stays on the shelf. More studies are definitely needed to draw conclusions. In conclusion, soy is a good substitute for animal protein. When used along with other wholesome foods, it can be helpful in lowering weight and cholesterol levels.Despite the controversy surrounding soy, it is a good product when consumed as part of a calorie controlled and planned meal.